I fell in love with this quilt and you will, too! 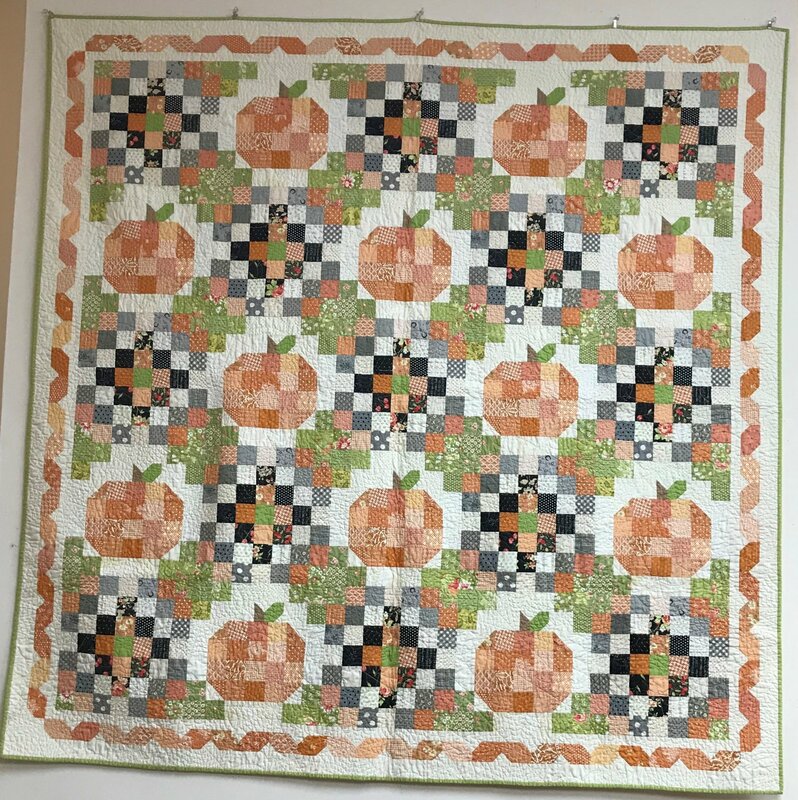 Pumpkin Maze is a variation on a triple Irish chain quilt with some fun fall pumpkins added! Cinnamon’s has made some great kits for this quilt but sign up for class and reserve your kit early-they are limited!